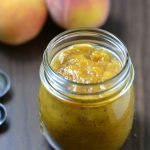 This Peach Chia Seed Jam will put those gorgeous peaches you can find at the farmer’s market to good use. With just a few added ingredients you will have a delicious jam you can enjoy all summer long! 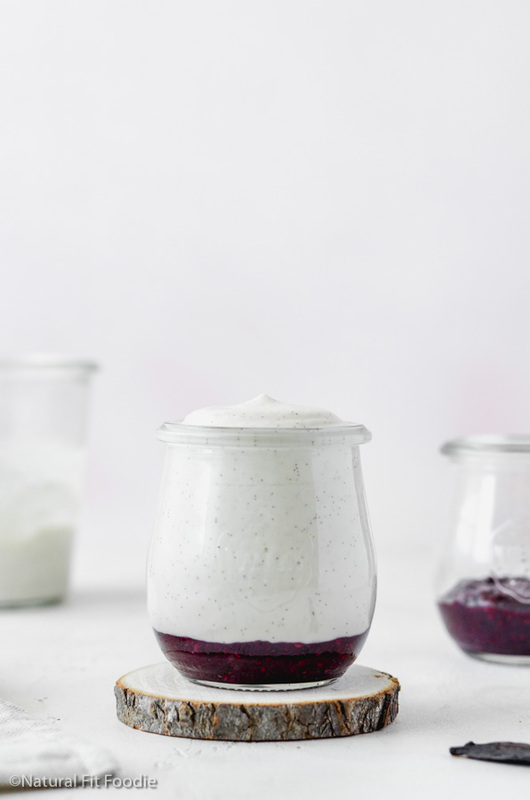 Move over Berry Cherry Chia Seed Jam there’s a new favourite in town! If you remember well I did say there would be more chia seed jams in the making. Well I am a woman of my word. It’s amazing what wonderful things can happen when you eat in season! Eating in season forces you to branch out and explore new foods that you would just otherwise bypass. I absolutely love berries, I could eat them all year round but I will be the first to admit that the strawberries I can buy in September don’t come anywhere close in flavour to ‘in season’ strawberries. My lovely neighbour gifted me with about 1 kilo of peaches last week and I knew I had to find a way to preserve them. There was no way we would be able to eat them all before they went bad. I decided on a peach chia seed jam and with the addition of homemade pumpkin spice mix I was blown away. And so will you! How long does chia seed jam last? Your peach chia seed jam will last for at least one week in the fridge. What I often do is to make a large batch of just the pureed fruit and freeze it in batches. That way all you need to do is add the chia seeds to thicken it up later. What’s the difference between peaches and nectarines? At first glance it may be hard to tell peaches and nectarines apart. The main difference between peaches and nectarines is that peaches have a fuzzy skin while nectarines do not. The skin is edible either way and quite delicious. 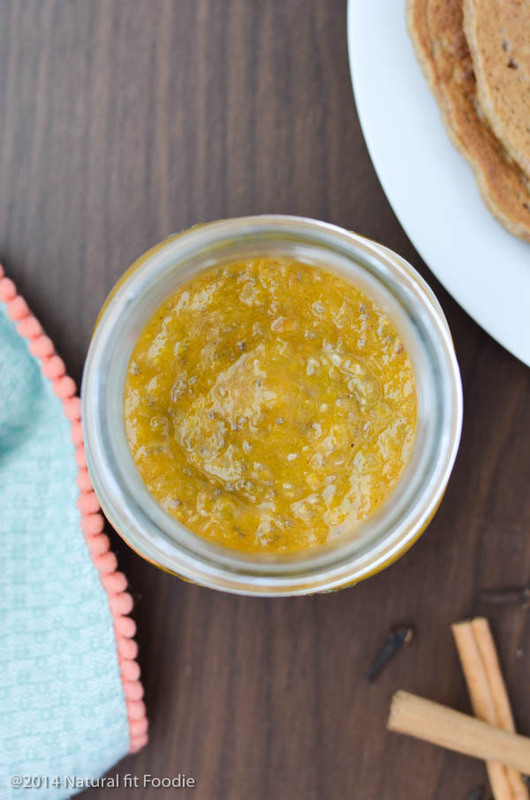 This peach chia seed jam is definitely a keeper! Please give it a try and let me know what you think in the comment section below. This Peach Chia Seed Jam will put those gorgeous peaches you can find at the farmer's market to good use. With just a few added ingredients you will have a delicious jam you can enjoy all summer long! Heat peaches in a small saucepan on low heat until softened. Place fruit in a blender and add the honey. Pulse mixture a few times. Return fruit mixture to the saucepan and add chia seeds. Stir in vanilla extract and spices. Pour into airtight glass container. Allow to cool while mixture thickens. Such a fun twist! My kiddo will love this! I second Rebecca’s question.. how long will this stay fresh in the fridge? Oh how I love peaches! I am sure my husband will go nuts for this recipe. Just beautiful! Pinned this to make with fresh peaches later this summer! Sounds great! So fun! We pick up a couple bushels of peaches from our local farmer around August and I can’t wait! They are so yummy! I have never made peach jam before but I bet it would be a big hit here! Thank you! Adding chia is a great idea. I love homemade jams and will love this addition! 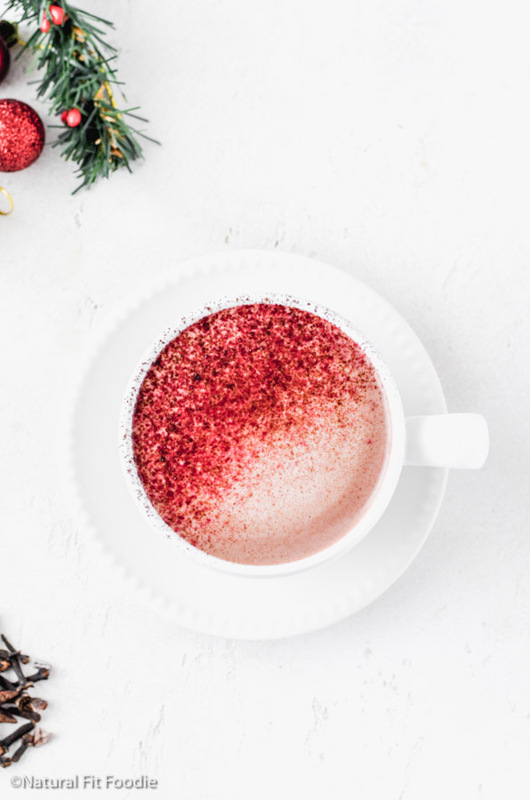 I love that you used Chia seeds in this! What a delicious jam! A great idea for putting all those over ripe peaches to good use! Yummmm the peaches right now are so good, this is a perfect way to use them! Yum! Looks amazing! I love both peaches and chia seeds; pinning!! Thanks Heather! Hope you can try it soon. Boy this sounds delicious and yet so simple to make. Peaches were always one of my favorite jams when I was a child, but this is even better than what my Mother made with the chia seeds and the loads of protein and other health benefits. Thanks for sharing on Real Food Fridays. Pinned. Thank you Maria for your kind and thoughtful comment. So happy you enjoyed the jam. Just so you know it freezes really well so you can stock up while peaches are readily available. How many cups of peaches is that, once you’ve puréed it? I’m trying to make jam from homegrown very small peaches. Sorry, I didn’t measure it after pureeing. This looks yummy! Will be making these on weekend. What a simple yet satisfying recipe. Chia seeds and peaches are an amazing combination. This can be a fun family activity to do. There so many things you can do with jam. 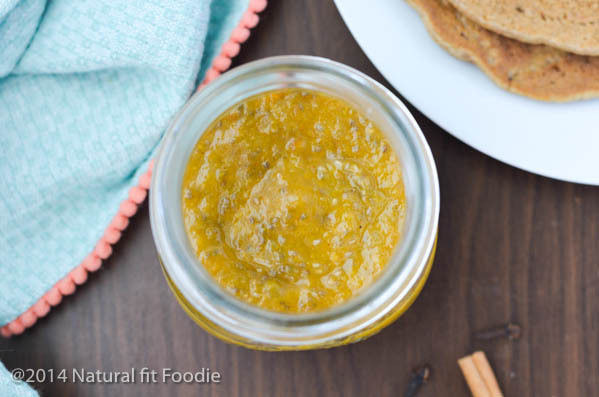 So happy to hear that you enjoyed this Peach Chia Seed Jam recipe. Yes it would definitely make for a fun family activity. Oh I love peaches. And when you add in the chia seeds it becomes a match made in heaven! I tried it it it really tastes yummy! Thanks for sharing! 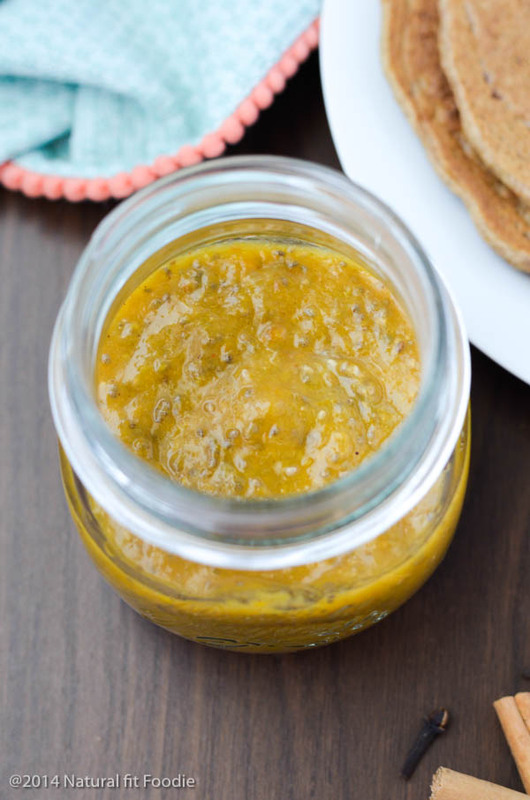 Really happy to hear that you liked this Peach Chia Seed Jam Stella. It’s a great twist to my fave peaches. I’m going to try this and use it on breads and other stuff. Thanks for sharing!